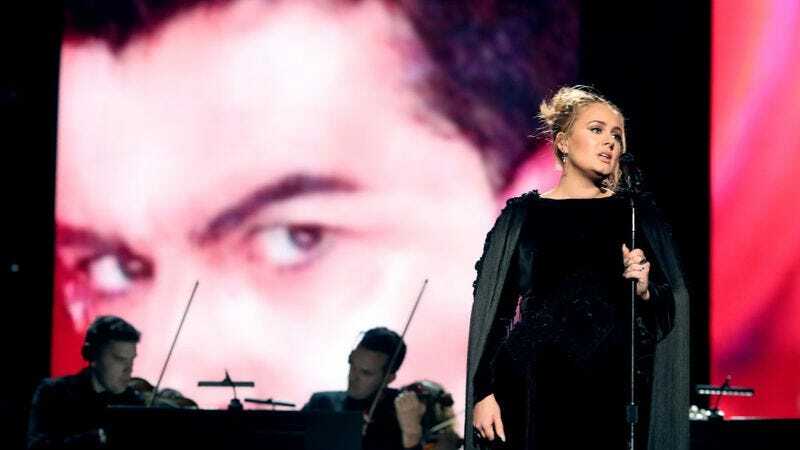 Adele might not seem like the most obvious choice to pay tribute to George Michael, but she put her own ballad-style spin on a performance of his 1996 song “Fastlove” during this year’s Grammys, and it was clearly an emotional moment for both her and the audience. After having already opened the show, Adele had to interrupt and restart her “Fastlove” performance after a technical hiccup, explaining that she wanted to do it right and not have a repeat of last year’s Grammys, when the microphone on her piano broke. Save for a bleeped-out swear word, the issues didn’t plague Adele for too long, and she quickly got back on track. You can see a clip from Adele’s performance below.